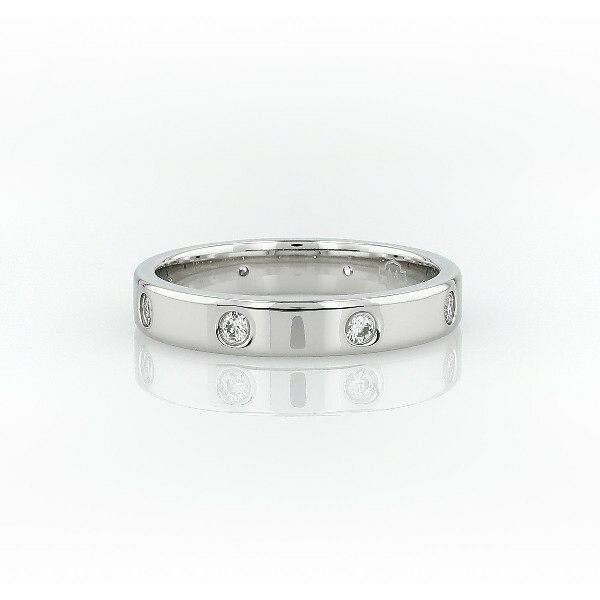 Finish your look with this polished diamond eternity band crafted in enduring platinum. This essential style features round brilliant-cut diamonds equally spaced all the way around the band. Its 4mm width and gently curved inner edges are ideal for a comfortable everyday fit.